It is a tradition that sometimes before Chinese new year that the Chinese will prepare Wax meat or waxed meat (Lap Mei) to preserve meat for the use in Winter. The cold and low humidity condition during the season is perfect to dry the meat and preserved it for many many months to come. 1. 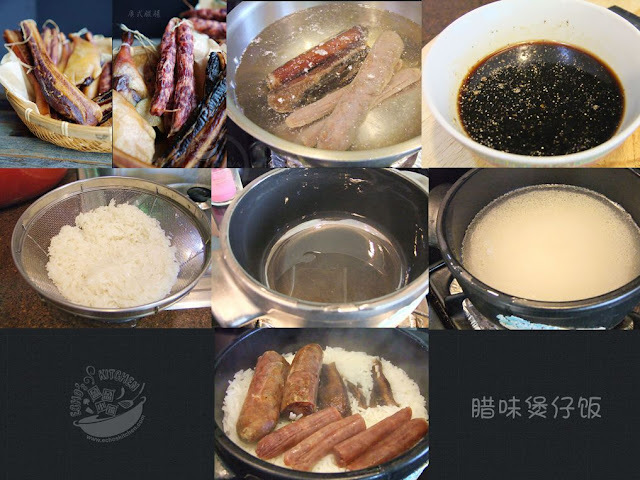 Wash and clean the sausages and wax meat, blanch them all in a small pot of boiling water for about 2-3 minutes. 2. Spread 1 tsp of oil over bottom of a Claypot. 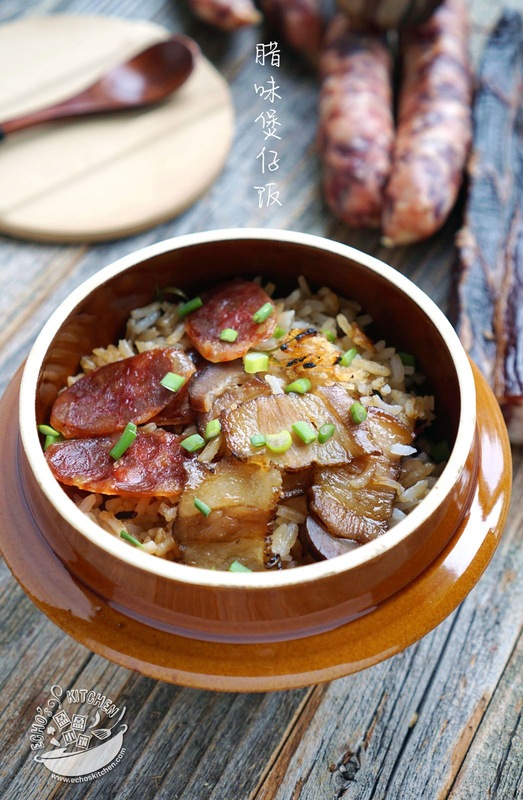 Wash and drain the rice, place the rice in the Claypot with 1 1/2 cups of water, bring to boil and turn to medium heat to cook for 8-10 minutes until you sees little holes forming on top of rice, turn to low, add sausages and wax meat on top of rice. Cover with lid and continue cooking for 15-20 minutes, do not open the lid in between. 3. Mix all seasoning in a small bowl, blanch/cook a few pok choy at the same time. 4. 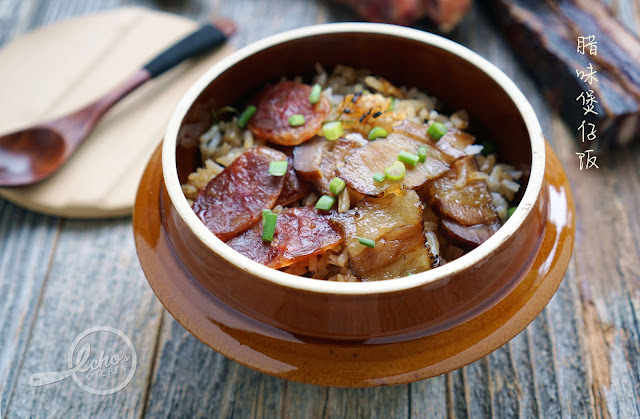 After 20 minutes, take out sausages and wax meat, slice thinly, use a fork to loosen the rice, place the sliced sausages and meat back to pot, add the seasoning and Bok Choy, cook for 5 minutes at low heat, serve hot with Bok Choy!